travel, tourism, adventure travel, hunting, budget travel, travel specials, fishing, OffHunting.com is your guide to hunting and fishing adventure worlwide: Africa, South America, USA, Argentina, Australia, Bolivia, Cost Rica, Eastern Cape, Nebraska, Panama, Zimbabwe. NEW! Check out our IMPALA HUNT video - click here! Welcome to OffHunting.com! Our mission is to provide quality hunting and fishing trips around the world at affordable prices. We have a number of very select partners who share our goal of providing top service at a fair price. All of these have been personally hand selected by our staff based on quality, safety, experience and their ability to provide the adventure of a lifetime. For the hunters we cater to both gun and bow hunters as well as pistol and black powder. 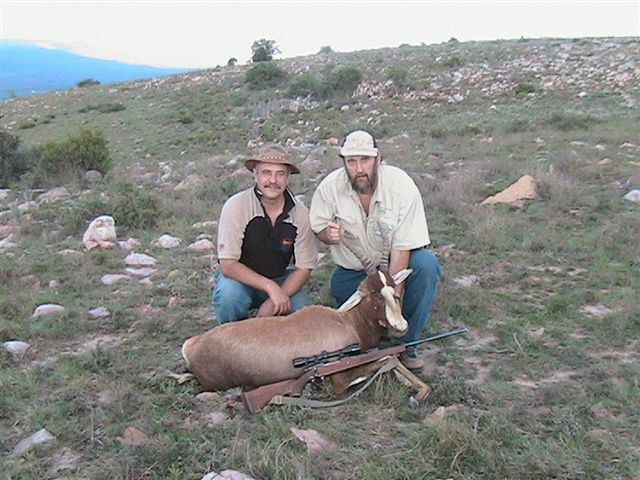 Our staff are all fanatical hunters and have personally hunted all around the world. We can give you straight answers based on first hand experiences with these weapons. We do not believe in the one size fits all style of hunting and will custom design any trip to meet your interests and needs. We provide complete services both before and after the trip. Our expert staff is not only able to design a custom package for each individual but we also can assist with all travel arrangements including flights, gun forms, taxidermy and practical travel advice. We have been there and we have done it! Unlike many, this is our full time business, not a part time hobby. We will provide the complete package from the moment you leave your door until the moment you return and beyond. Bottom line - We are here. Call us at any time with any question no matter how small it might seem. We are only a phone call away and can answer your questions based on firsthand knowledge. For the fishermen we offer the same complete packages. We will take care of the international flights, hotels, transfers, additional tours and anything else that is required to make your fishing adventure the trip of a lifetime. We have packages for the serious fly fishermen, the deep sea addict as well as the average guy looking to fish in an exotic location for species not available at home. When we are not hunting you will probably find a rod in our hands somewhere in the world! Wither it be sharks in Africa, rainbow bass in the Amazon or deep-sea off of Costa Rica we have the people and the equipment needed to put you on good fish! We also specialize in hunters and fishermen who are looking to take their first international adventure but are not quite sure just how to go about it. We have over 20 years experience sending clients all over the world. We bring all of this experience to each and every trip we plan for our clients making sure all the little details are looked after. If something unexpected does come up, we are here to help you deal with it. Simply click on any of the countries below and you will begin the journey towards the adventure of a lifetime! To view complete details of each trip, just click on the or located next to each trip. 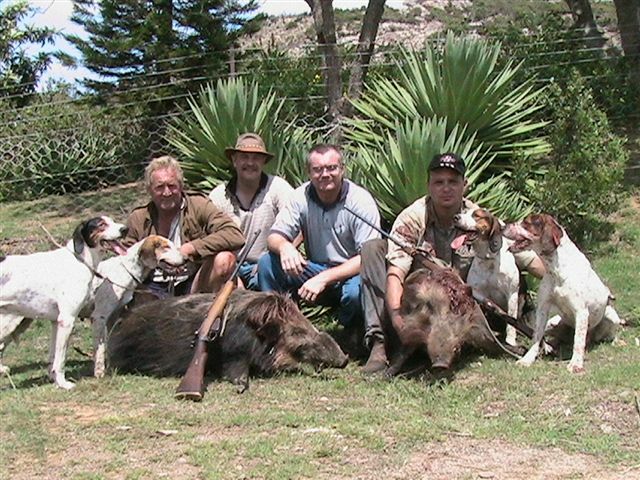 5 days 4 nights - Includes two hogs! NEW! Offhunting video - Impala Hunt! Click here for our media page where we will be adding more videos periodically!